Polish cuisine is well-known around the world and is particularly appreciated by gourmets. Many Polish local restaurants specialise in tasty and inviting regional dishes, such as "PIEROGI" (similar to ravioli but larger, with various savoury fillings), "BIGOS", Polish Hunters' Stew, tasty local soups and delicious desserts. Fine wines and spirits are widely available, with Polish vodka being very popular. 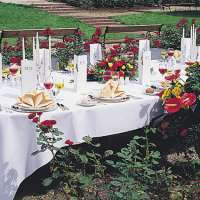 We offer a range of typical country restaurants and beautiful historical venues for Gala dinners in all areas of Poland. The countryside is enormously varied. Our venues include sunny seaside resorts with golden sands reaching as far as the eye can see, mountain resorts with majestic scenery, river rafting opportunities and both sophisticated and historical cities. 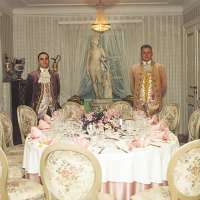 Caterers are selected with great care. Impeccable service and outstanding cuisine can be enjoyed to the sound of music of your choice.